We are experienced in PCARD & University events. We have created a PCARD menu that caters to the PCARD specifications & limits. You are also welcome to order off of any of our other private dining menus. Upon request we are happy to itemize & separating your food/beverage costs & fax receipts to department heads after your event. 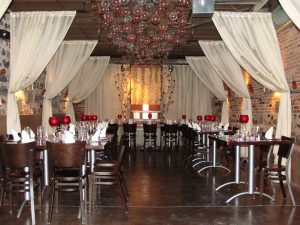 As a full-service venue, it is Vinology’s top priority to ensure that our each of our private events are provided with dignified service, hospitality, and expertise. The corporate events held here are curated by the in-house Event Coordinator, with collaboration from the Executive Chef and Beverage Manager. Together, this team of professional’s collaborate to guarantee that your event surpasses your expectations.